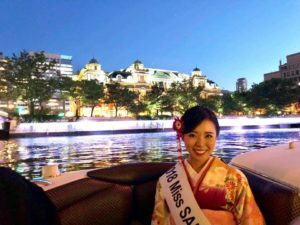 1 Asami Sudo, 2018 Miss SAKE, joined the riverside party held by THE KOSHINO COMPANY at NAKANOSHIMA LOVE CENTRAL. Asami Sudo, 2018 Miss SAKE, joined the riverside party held by THE KOSHINO COMPANY at NAKANOSHIMA LOVE CENTRAL. On June 1st, I joined the riverside party held by THE KOSHINO COMPANY at NAKANOSHIMA LOVE CENTRAL. 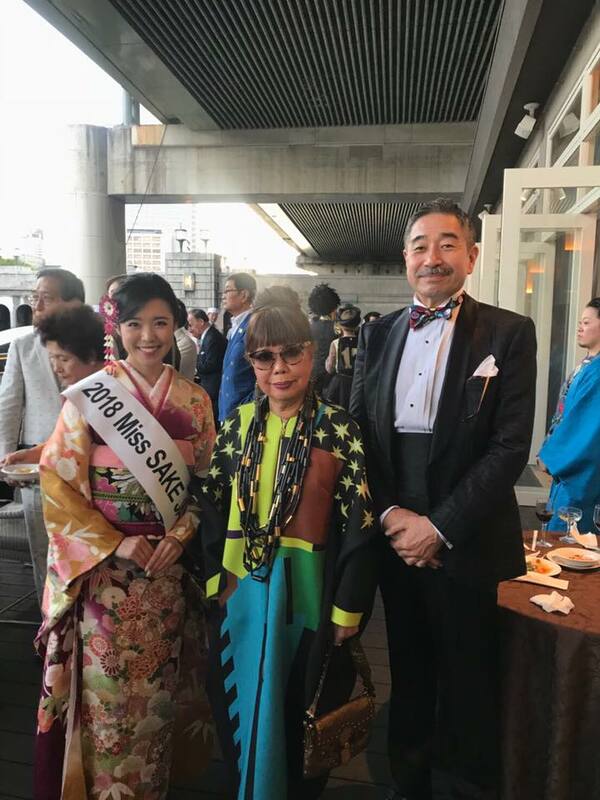 The party was originally held by Ms. Ayako Koshino, Mother of Ms. Hiroko Koshino, Ms. Junko Koshiono and Ms. Michiko Koshino, and now the 3 daughters has taken over the organizer of the party. 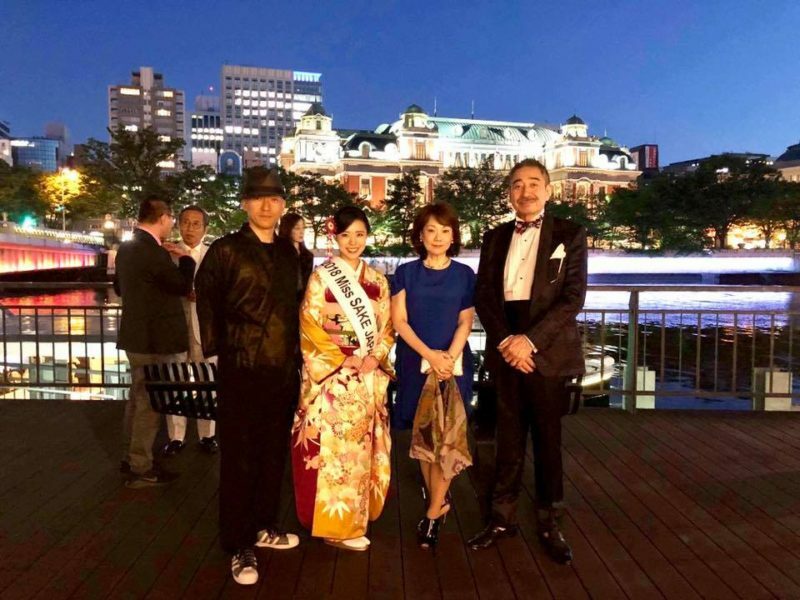 Mr. Tokubei Masuda , an adviser of Miss SAKE and the president of TSUKINO KATSURA SAKE, sponsored the party and I joined the party with Mr. and Mrs. Masuda. 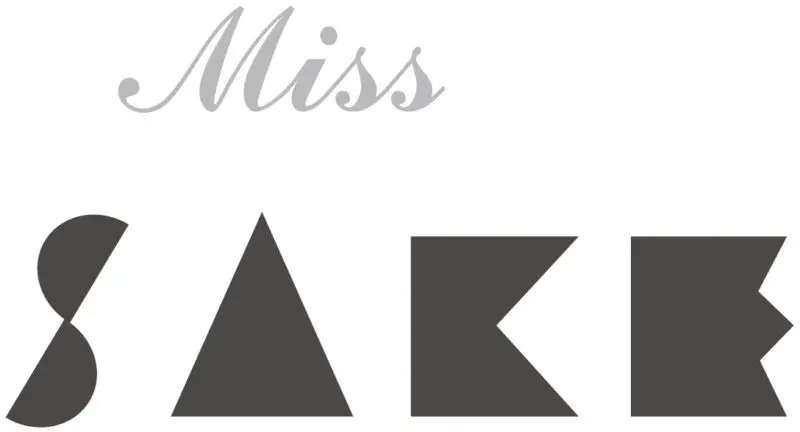 At a pleasant riverside terrace venue, we enjoyed great food and drink as well as attractive performances and recreations such as pole dancing and casino. During the party, many people spoke to me as I was dressed in Furisode, and to them, I introduced the activities of Miss SAKE. And I was very glad to have lots of warm words of encouragement to our activities. I extend my appreciation to all the people involved in the party.